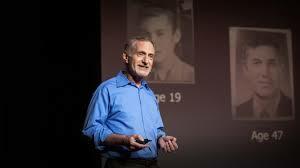 If you like research as much as I do, then you will love this TED talk that shows that across 75 years of study, that relationships are the key to health and happiness! This was shown across demographics, regardless of gender, race, socioeconomic status, and education. As a Marriage and Family Therapist, I love hearing the impact our relationships have our health, longevity/life expectancy, pain tolerance, coping skills, mood and memory/cognitive functioning. This research states that loneliness and conflict can kill, and that having a secure attachment and feeling that you can truly count on your partner is shown to be protective to our health, cognitive functioning and mood. If you have 12 minutes of time to spare, give this video a watch and reflection. If you realize your relationship(s) is struggling in some of these areas, counseling can help! Please don’t hesitate to reach out for support, just like you would contact a doctor if your health was at risk!